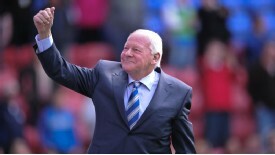 Investing in Wigan Athletic –what comes next? The big question is whether the Whelan family will continue to pull the strings at the club in the long-term, or whether the house is being put in order for a sell off. I think it’s time for Dave to sell the Club to a “suitable buyer”, who will sack MM and invest in Youth, ie a younger hungry manager, who can develop a young side from our Development Squad, with others. Build the Academy at Charnock Richard and look to sustainability. We are entering into a new era, so should start with a clean slate. We quite simply have to invest in youth, as this article says. Wigan must become a club with a top-quality Academy and become adept at scouting, developing and producing players from the Academy to play for the first-team. The first step would be to give more first-team opportunities to the youth we already have, as they look like such a promising young bunch of players. A quick mention should be made to Southampton – they were in League One a few years ago and are now in the Champions League places in the Premier League. Fair enough, they are a club from a bigger city and they have more history than Wigan, but the way they climbed out of the lower leagues was by investing in their Academy and prioritising the identification and production of top quality young footballers. Not all of them stayed at the club – some left for hefty fees, which is also very beneficial as is poured a huge amount of money in to the club. Even now they are producing young players and giving youth a chance, thereby saving money (due to the no transfer fees and lower wages of youth players) and running the club in a sustainable way that also endears the club to so many. We need to follow their lead! Far from convinced that Dave hasn’t made a few quid. He is a hard nosed business man. The guys running clubs are rarely the sort of people with generous souls who throw money at a project. They have excellent accountants and off shore accounts.that said I am gratfeul for the pleasure DW has brought to the town- and to my life. He is now closing things down and the club is unlikely to get beyond League 1 again. But you never know. Started to watch in mid 60’s and it’s been quite a journey. But wish we hadn’t had to experience this horrible humiliation. good article and spot on in terms of the latest/ongoing DW resignation.